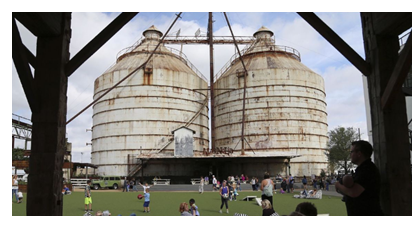 ​​​​​​ WACO –​ How big are the Silos as a tourist attraction? "Fixer Upper," the wildly popular home improvement TV show, is about to start its fifth and final season. But it's not the stuff that brings the crowds. It's a brand, the glow of a couple have become icons of faith, family and affordable home design to millions of Americans. This year, with an average of more than 30,000 visitors a week, Magnolia Market, 601 Webster, should draw about 1.6 million people, according to the Waco Convention and Visitors bureau. The Silos are the signature of a growing Waco company that now employs 600 people, according to the Greater Waco Chamber of Commerce. It appears this young company is now among Waco's top 20 employers, on par with Texas State Technical College. Attendance at Waco-area attractions is estimated to be 2.6 million this year, a fourfold increase over 2015, the Convention and Visitors Bureau reports. Hotel occupancy rates in second quarter 2017 were 75.5 percent, the second-highest in the state, and hundreds of new hotel rooms are under development. ​Check out​ more economy stories across Texas.